In 1851 George Townsend opened a mill in the small village of Hunt End, a district of Redditch in Worcestershire England. Originally known as the “Givry Works”, the company specialized in producing sewing needles along with various small machine parts. On the Sr. Townsend’s death George Townsend Jr. bought into the company along with his half brother. Around this time -now the early 1880’s- George Jr. had become interested in the new models of “safety bicycles” which were replacing the older Velocipedes with their dangerously high front wheels. Their first bicycle was actually an adaptation of the “boneshaker”, a type of velocipede with slightly smaller wheels than it’s forerunners but still utilizing the old fashioned iron rimmed wooden wheels. A breakthrough came when Townsend chanced upon the local invention of a bicycle saddle that only used one length of wire in its framework and incorporated springs to reduce the shock. This was modified, patented and marketed as the “Townsend Cyclists Saddle And Springs”. From bicycle parts they slowly began production of the first “Townsend Cycle” which soon gained a reputation for its sturdy frame, a characteristic that all Enfield bikes would follow. Unfortunately Townsend got into some unspecified financial trouble around 1890 and was forced to call in financiers from Birmingham. After a series of disagreements Townsend left the company: Albert Eadie and Robert Walker Smith took control of Townsend Cycle in November 1891. The following year the firm was re-christened “The Eadie Manufacturing Company Limited”. Soon after this the restructured company received a large contract to supply precision rifle parts to the Royal Small Arms Factory in Enfield, Middlesex, and in celebration they named their newest bicycle model the “Enfield”. 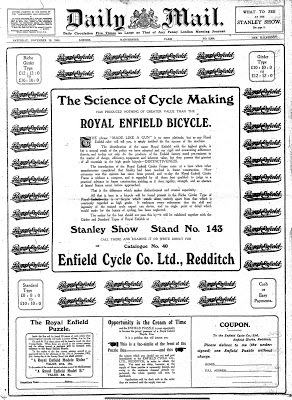 A secondary company, “The Enfield Manufacturing Co. Ltd” was formed in October 1892 specifically to market the bicycles. The following year the word “Royal” was added to the company name and the Royal Enfield was born. 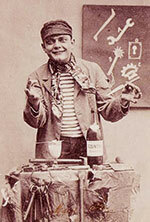 Their trademark, “Made Like A Gun” appeared in 1893. In 1899 the The Royal Enfield Manufacturing Co. produced their first mechanical vehicle: available in either three or four wheeled configurations, it was powered by a single cylinder De Dion-Bouton 1.75hp 239cc engine with automatic inlet valve and a mechanically operated exhaust valve. The operator was mounted on a regular motorcycle seat with something like a carriage seat in front for the passenger, apparently to spare them the exhaust fumes and debris kicked up by the tires. 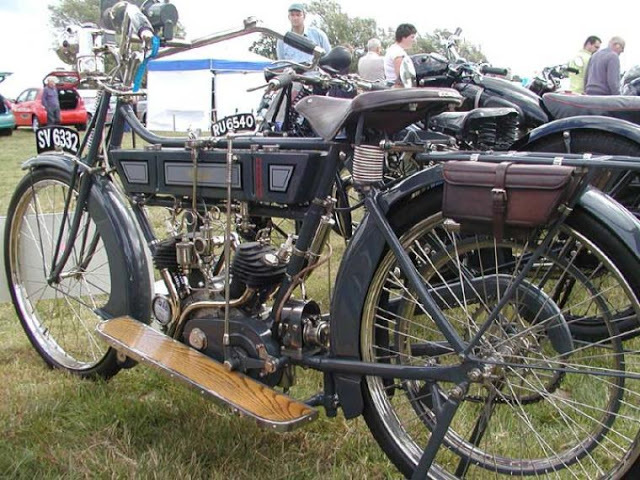 Towards the end of the same year Royal Enfield displayed its tricycles and quadricycles at the Stanley Show, alongside Ariel and other manufacturers. 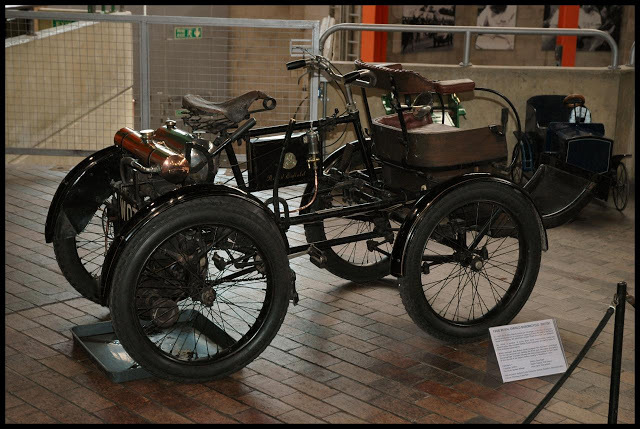 The Ariel tricycles were made under license from De Dion-Bouton in France, and the Enfield ones had De Dion-Bouton engines. The prevalent belief in the UK industry at the time was that two wheeled vehicles were too unstable to carry the unwieldy and heavy engines of the day; but a new entrant from Belgium, Minerva, displayed some small lightweight engines clamped to the front downtube of bicycles. Apparently this machine caused quite an impression, and bicycle makers all around the UK soon started offering Minerva engines on their bicycles. Some claim that the British motorcycle industry was actually born at that show. The French designer Louis Goviet, who had moved to the Midlands specifically to study bicycle and motorcycle production, quickly submitted a design proposal for a heavy bicycle frame fitted with a Minerva engine to the company and Royal Enfield released their first motorcycle in 1901. The motorcycle featured a 239cc engine with innovations such as a spray carburetor and battery and coil ignition. The original design had the engine weight on the front wheel which led to slipping when cornering; by 1903 two other models were introduced, one with the engine clamped to the lower frame behind the front wheel and the other with the engine under the rider similar to the Triumph designs of the time. All these machines had rear wheel drive. That same year saw a new factory at Hunt End specifically for car and motorcycle manufacture: in addition to the motorcycles the company was selling two car models, a 6hp single cylinder voiturette with a De Dion engine and a 10hp twin-cylinder vehicle powered by a side-valve Enfield engine with a three speed gearbox and a four seat body. In 1904 the company was further divided with the creation of the “Enfield Autocar Company”. But by 1906 things were not going well for Enfield Autocar, and in June 1907 it was briefly taken over by BSA. Production costs were still much larger than anticipated, and the shareholders voted for voluntary liquidation of the company. In the end an offer from Alldays & Onions Company was accepted and a new company was floated (still under the name of Enfield Autocar Company). The new business was headquartered in Birmingham and produced cars with both Enfield and Enfield-Allday badges until 1924. One of the first models produced was curiously named “Bullet”. 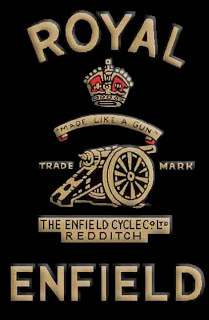 With the demise of the Enfield Autocar company in 1908, Royal Enfield decided to refocus on the production of motorcycles. Bob Walker Smith hired Swiss engineer W. Guillon to design and develop a new motorcycle, and in 1909 a 297cc, 2.25hp Motosacoche sidevalve V-twin with belt drive was released. The reliable Motosacoche engine choice was a hit, and the motorcycle would become a lasting success. 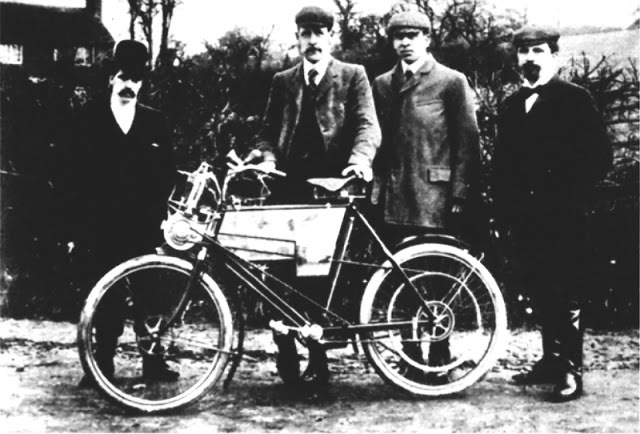 In 1910 H. Greaves rode a 2.25hp V-Twin in the Land’s End to John o’Groat’s Trial, completing the run without losing points. In the July trials Greaves and P. Islip had non-stop runs and Greaves got a gold medal, and both had non-stop runs in the October ACU trials. There were also gold medals for Enfield riders in the Six Days’ Trial and two gold medals in the Edinburgh to London reliability trial towards the end of the year. 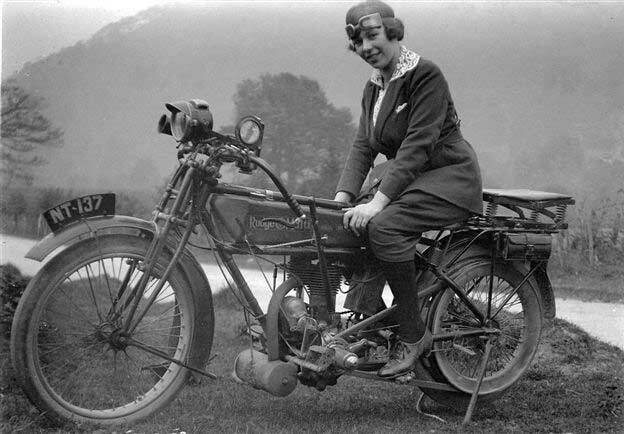 On January 29th 1912 the Transport Committee of the War Office held private speed trials at Brooklands to select a motorcycle suitable for the military. All the leading companies were present, and Bert Colver rode his 2.75hp Royal Enfield for the second fastest lap time at 39mph. The same year the Royal Enfield Model 180 sidecar combination was introduced with a 770cc V-twin JAP engine, which was raced successfully at Brooklands. Maxim gun mounted on 1914 model. In 1914 Frank Walker Smith Jr., who had been promoted to the joint manager director with John Davis in 1912, was offered a seat on the board (he was 25 at the time), but with the outbreak of the First World War Smith joined the Royal Artillery and Guillon, the Swiss-born Royal Enfield designer left for his home country. 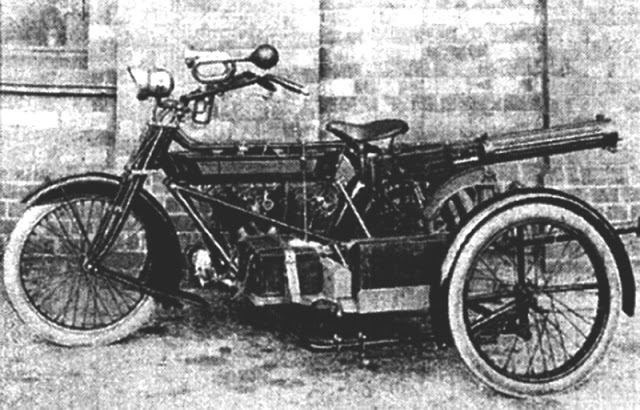 Royal Enfield had previously fitted a Maxim machine gun to one of its sidecar combos for publicity purposes, but it was seized by Irish customs in early 1914. At the outbreak of war the machine gun enabled combo was rushed to the Ministry of Munitions who issued an order for 6hp models with strengthened sidecar chassis for Vickers and Maxim gun mounts. Orders from other governments including France, Belgium and Imperial Russia soon followed. Early in 1917 Germany adopted a policy of unrestricted submarine warfare, wreaking havoc on fuel supplies to the UK. Domestic demand for Enfield bicycles and motorcycles skyrocketed and in addition to its traditional products three tons of artillery shells were being manufactured weekly in Hunt End. The company repurchased the original Givry Works and expanded the Redditch factory. 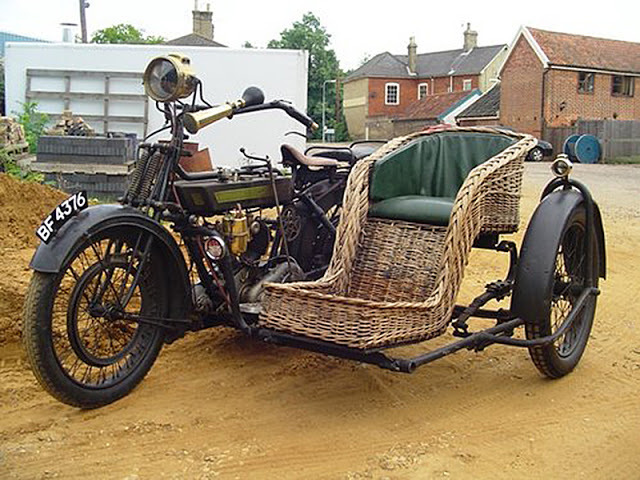 After the armistice was signed in 1918, the general slowdown in production led Enfield to concentrate on bicycles and on providing sidecar rigs to disabled veterans. Besides the 297 and 770cc V twins, a two-stroke 250cc 2.25hp engine had been developed and these engines in various configurations represented the bulk of the company’s manufacturing through the early 1920’s. 1923 saw the development of the first Enfield four-stroke 350cc single using a JAP engine. Two of these machines were introduced, one sidevalve (model 350) and a sports OHV (model 351). By 1928, Royal Enfield adopted saddle tanks and center spring girder front forks, one of the first companies to do so. A 488cc with a four speed gear box and a new 225cc side valve bike had been added to the lineup, and several machines were produced in the next decade from a tiny two stroke 146cc Cycar to an 1140cc V-twin in 1937. In particular, a new four valve, single cylinder was introduced in 1931. This new model had an inclined engine with exposed valve gear and was released in both 350cc and 500cc: in 1933, a 250cc model was also added to the range. The bike incorporated the newly designed forks and fuel tank on a rigid frame. In the next year’s lineup this model series was christened the “Bullet”. In 1938 German authorities stopped the Dutch franchisee of the popular DKW RT100 motorcycle from receiving supplies based on information that the company, RS Stokvis en Zonen, had Jewish directors. The board went straight to Redditch and contacted Royal Enfield about producing a similar machine for export. The result was the WD/RE, a less sophisticated 125cc two-stroke engine in the same DKW frame design. In early 1942 the War Office ordered twenty WD/RE motorcycles from Royal Enfield for testing. The trials went well and led to some modifications including a quieter exhaust system, a Villiers carburetor, and folding kick start, footrests and handlebars to allow it to be packed into the smallest possible space. The motorcycle was originally intended to be dropped by parachute and was quickly dubbed “The Flying Flea”. Experimentation began on a protective cradle for the motorcycle and several versions were dropped from Halifax and Lancaster bombers: besides actually surviving the drop the cradles had to be easily removed on landing but the prototypes met neither requirement. Eventually a model was developed with heavier tubing and bracing and the first significant orders for the Royal Enfield WD/RE were placed in early 1943, but after all the planning only a few were actually dropped by parachute. The Royal Enfield factory produced various other military models included the WD/CO and WD/G 350cc OHVs, the WD/D 250cc SV, and the WD/L 570cc SV. In 1942 an underground factory was set up in a disused quarry at Westwood, Wiltshire to protect production from the bombing raids on the Midlands. Staff were quickly transferred from Redditch and due to the constant underground temperature the facility soon turned to producing various high precision equipment such as mechanical “predictors” for anti-aircraft guns alongside their motorcycles. The factory continued production post-war, concentrating on engine manufacture and other high precision machining. 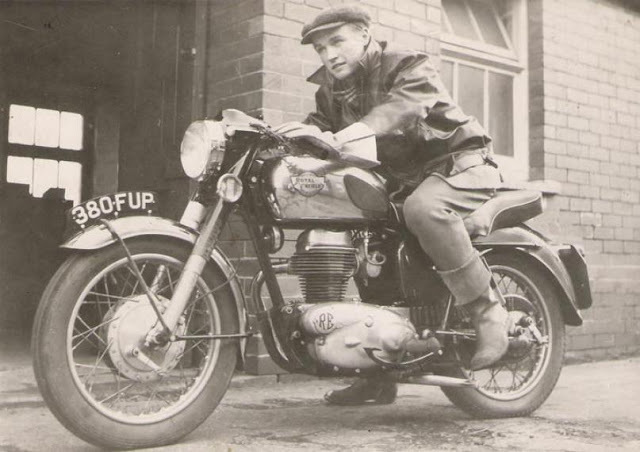 In 1958 the Ministry of defense sold the Westwood underground quarry factory to Royal Enfield. After the German surrender in 1945, the Enfield Cycle Company resumed production of the pre-war G and J series civilian models alongside a modified version of the “Flea”. By 1947 the 500cc Model J was back in production, fitted with new hydraulic damping telescopic forks as opposed to the old style girder forks. These were basic “ride-to-work” models which proved popular in a world hungry for inexpensive transport: a large number of surplus military machines were also purchased and reconditioned by the factory. In 1948 a groundbreaking development in the form of rear suspension springing was developed, initially for competition model “trials” models (modern enduro type machines). This was released in 1949 on the first new production models; a 350cc OHV Bullet with a sportier alloy head, swing arm frame and a 500cc twin: Enfield’s 25bhp answer to the Triumph Speed Twin. This machine was the forerunner of a range of Royal Enfield Meteors, Super Meteors and Constellations. 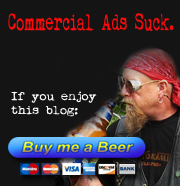 Offering good performance at modest cost, these machines sold well at the time despite an unremarkable reputation. The 700cc Royal Enfield Constellation Twin released in 1959 has been described as the first Superbike. In the late 1950s and early 1960s Royal Enfield produced a number of 250cc machines, the most popular of which was the 248cc pushrod OHV single cylinder Crusader. On the larger displacement end of their line, the first Interceptor was introduced in 1960: a highly tuned version of the company’s 692cc vertical twin intended for export to the USA and Canada. All these engines had the prefix letters “VAX” and are often referred as “VAX Interceptors”. Featuring twin carburetors, a factory lightened and balanced crankshaft, hot “R” cams, Lucas racing magneto and a few other modifications compared to road going models, the highly tuned engines demanded constant maintenance and many ended with catastrophic damages to the bottom end. Only a handful of these bikes survived which makes them one of rarest post-war Royal Enfield models. In 1962 a new 736cc Interceptor was released with a number of modifications and improvements. 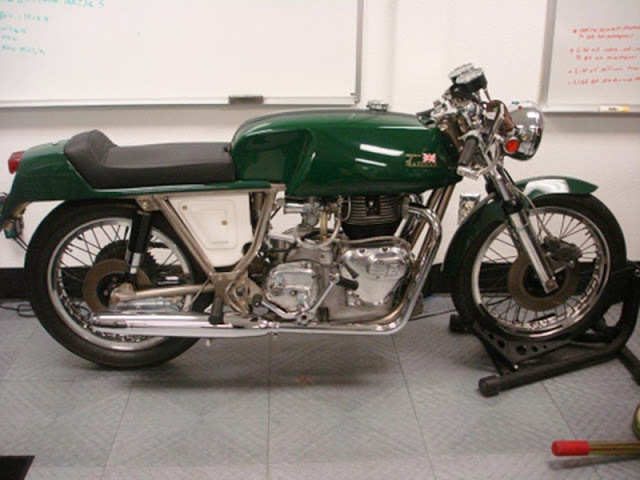 Unlike the previous model these 750 engines had heavier engine cases and are known for their reliability and torque, and the dynamically balanced crankshaft made these bikes one of the smoothest British twin engines ever. In 1965, a 21 bhp (16 kW) variant called the GT Continental, with GRP tank, five-speed gearbox (which was also an option on the Crusader), clip-on handlebars and rear set footrests was launched. It sold well with its “cafe racer” looks and another variant was released as the 250 “Turbo Twin”, fitted with the Villiers 247 twin two-stroke engine. Also, from 1955 to 1959 some Royal Enfields were painted red and marketed in the USA as Indian Motorcycles by the Brockhouse Corporation who had control of the Indian Sales Corporation (and therefore Indian Motorcycles). 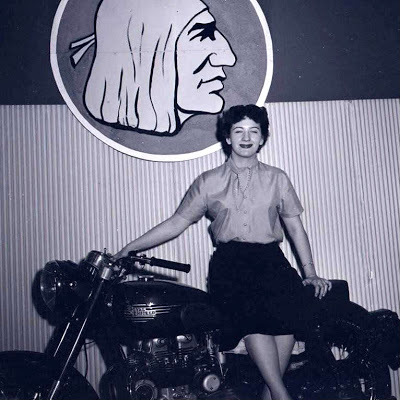 Brockhouse had stopped manufacturing Indians at the Springfield factory in 1953, but Americans were not impressed by the badge engineering and the marketing agreement ended in 1960. The largest Enfield “Indian” was a 700 cc twin named the Chief, like its American predecessors. By the late sixties and early seventies an onslaught of mass produced, inexpensive Japanese motorcycles had hit the market and while Redditch made a final attempt at competition with the series I and series II Interceptors they had made the classic mistake of not being able to supply the US demand. The Redditch factory ceased production in 1967 and the Bradford-on-Avon factory closed in 1970, which meant the end of the British Royal Enfield. In 1969 American entrepreneur Floyd Clymer, trying to revive the Indian brand, purchased a little over 200 Royal Enfield Mk II Interceptor engines for assembly into what were to be badged as Indian motorcycles. Unfortunately Clymer died in 1970 and with the collapse of Royal Enfield soon after the batch of engines was stranded at the dock with no place to go. Clymer’s export agent, Mitchell’s of Birmingham, was left to dispose of them. In the 1960s and 70, British brothers Derek and Don Rickman were the superstars of high-performance on and off-road motorcycle chassis design. Mitchell’s approached the Rickman brothers for custom frames for the leftover Enfield engines. The main problem of the Rickman brothers had always been engine supplies, so they quickly agreed to the project and the engines found a home. It’s believed that only 137 were made, leaving what is today a very rare, high-performance machine. Royal Enfield had been exporting motorcycles to India since 1949, and in 1955 the Indian government chose the Bullet as the most suitable bike for police and military use, ordering 800 of the 500cc machines particularly for patrolling the country’s border. The Redditch company soon partnered with Madras Motors in India and formed ‘Enfield India’ to assemble the 350cc Royal Enfield Bullet under license in Madras (now Chennai). The first machines were assembled entirely from components shipped from England, but in 1957 the tooling was sold to Enfield India so that they could manufacture components: by 1962 the bikes were completely manufactured in India. The Indian Enfield uses the 1960 engine design (with metric bearing sizes) in a pre-1956 design frame. An independent manufacturer since the demise of Royal Enfield in England, Enfield India still produces the Bullet in 350 and 500cc models today, along with several other designs for various market segments. 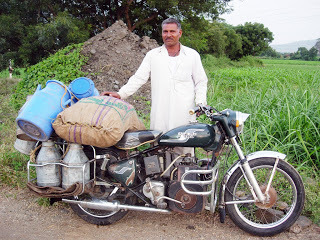 In 1986 UK civil servant Raja Narayan returned to India and organized an export arm for the company to begin re-marketing the Bullet in England, and in 1989 the Enfield Bullet was released back into the UK. In 1994 Eicher Group bought into Enfield India, and in late 1995 the Enfield India firm acquired the rights to the name Royal Enfield. Royal Enfield of India now sells motorcycles in over twenty countries. The Royal Enfield Motorcycle brand is the oldest motorcycle brand in the world with continuous production, now spanning over one hundred years from the introduction of the first Minerva driven bicycle in 1901 to the classic 2011 Royal Enfield Fury. The Royal Enfield Bullet, first named in 1932, is the oldest marque; the machine itself has remained continuously in production since 1948.